For most people, the college years were formative and memorable—a time when you made friendships to last a lifetime through shared experiences and you planted seeds for your future careers. Alumni engagement hinges on tapping that nostalgia, and in-person events are a great way to foster these relationships. 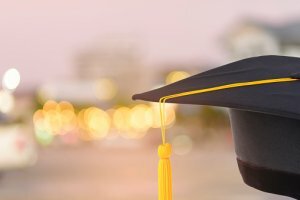 Event planning for alumni is a great way to leverage and build on the relationships that already exist between former students and their alma maters. There’s more: you can drive revenue, spread awareness, fundraise, and further enrollment. What is the scope of your event? Type and size of institution. Are we talking about a small, private, liberal arts college? Or a huge Division 1 state school? A tech powerhouse or a community college branch? Audience you intend to reach. Are you targeting a certain department or campus-wide? Also, the members of the community are key in that an event geared to students only will be much different than one for faculty or parents or even alumni. How far-reaching is your alumni network? Are you spread out nationwide, globally, or does your network tend to be locally-based? That sense of pride. That desire to invest in the school that reflects on your diploma. The nostalgia. Alumni are excellent partners in your work to promote your university because they are on your side. Because of this, the well never runs dry when it comes to the benefits of planning events that foster this relationship. How to make your next alumni event a raging success! The savvy event planner will know it’s not necessarily the budget but it’s how you plan, communicate, and tailor the timing of an event that can make it successful. Call Entertainment Unlimited today to inquire about event planning and how we can partner with you to help you put your best foot forward.